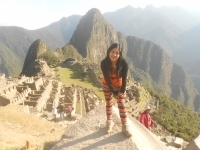 We had an excellent trip to Machu Picchu with Inca Trail Reservations ! Our guide Lito kept saying it would be forty minutes along a flat way. It really meant 2 hours on a horrible incline... Needless to say it was the punch line for the trip. A great time was had by everyone. The staff and agency were amazing and very attentive. Overall, this was a great trip. It was very well organized and all of the staff were professional and courteous. The food was excellent, always having snacks, plenty of tea and great conversation. Nice touches like hot tea in the tent to wake us up certainly helped to put the finishing touches on the trip. 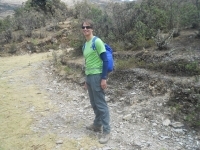 This trip was a very special adventure and my first time that I took part at such a guided trekking tour. 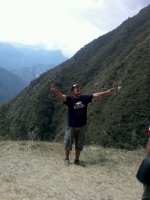 The Salkantay trekking was really good. Our guide Lito was a nice and funny guide and did share a lot of interesting stories. He knows a lot about the plants and tells about all the medicine uses, Inca people do. We definitely would recommend Lito as a guide. 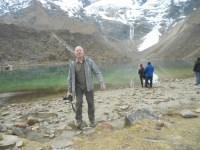 The Salkantay trek gives variation from high peaks, amazing views and landscapes. Starting in the cold and rocky mountains and ending in the warm humid jungle. The food and service during the trek was excellent, it was a joy to see what the cook made for us everyday and the guide told nice stories about the surroundings. The second day was the hardest because of the alltitude which stressed me more than the wandering up and down. All in all for an untrained hiker the trail was very hard to handle. 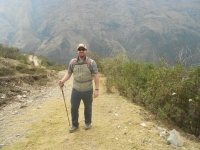 I really enjoyed to be with our guide who was courage and had lots of information about the landscape and the culture. 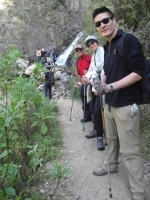 We did the Salktantay Trek in August during the dry season and it was absolutely phenomenal. 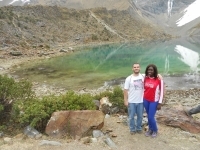 Despite tough uphill treks which will test your endurance and long downhill paths (with gravel and sand) in certain locations, the views and the entire experience was well worth it. 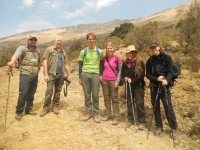 We did 1 day Inca Trail with Inca Trail Reservations. It was a great experience. 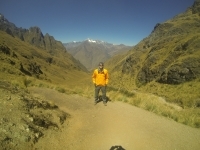 We visited several Inca sites and our guide, Grover, was very helpful. The whole hike took about 6 hours and we arrived at Sun Gate around sun set. There were many stops along the way for pictures. We visited Machu Picchu today with a wonderful tour guide Grover. The tour definitely exceeded my expectations. The scenery was mesmerizing and breathtaking. 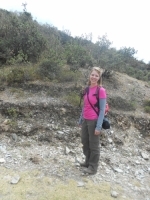 Even though it was only one day walk, at times felt a little challenging, especially walking up narrow steps in high altitudes. 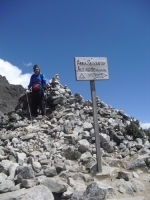 Completing the trek is just an amazing experience but also it is challenging. 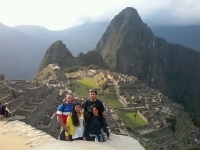 Honestly, without the help and support of our guide, Ramiro, my wife and I could not have completed it. His personal attention to our needs made a big difference to have this experience the best. Esta experiencia fue realmente increíble, la verdad tenia un poco de miedo antes de partir porque siempre me dijeron que este trek era muy matado y duro pero luego de hacerlo me doy cuenta de que cada sacrificio valió la pena, realmente valió la pena.